We were founded in 2000 , when D.K. 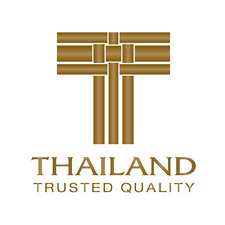 Thanakrit (อ.ธนกฤต คุปกาญจนา) had experience and vision to serve our customers in Air Condition Industry. Over the years, we expand our business to serve in Automotive, Consumer Electric, HDD, Electronic Components and Wire Hardness. 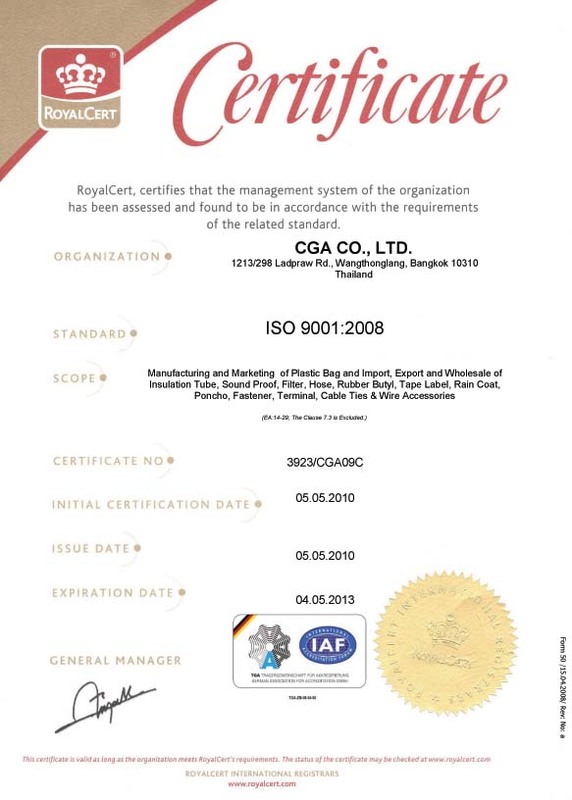 Our management system have be certified by URS. 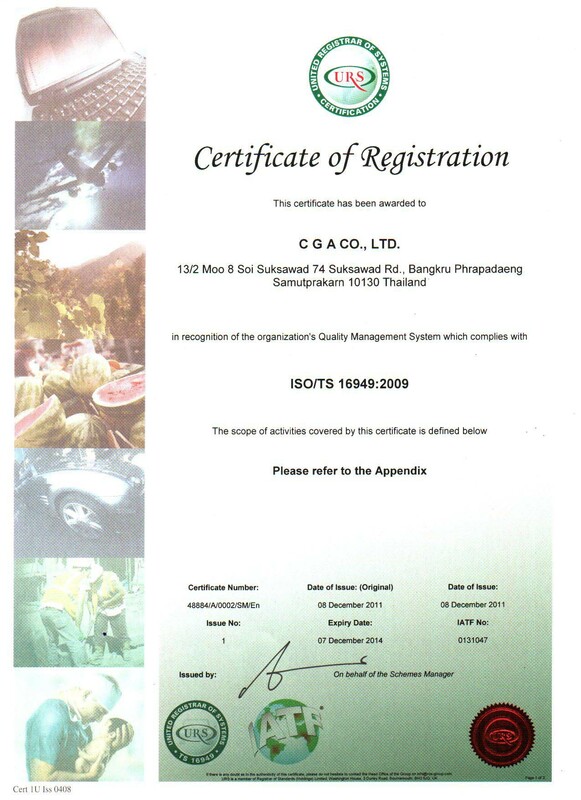 We received ISO/TS 16949-2009 since October 14, 2011. 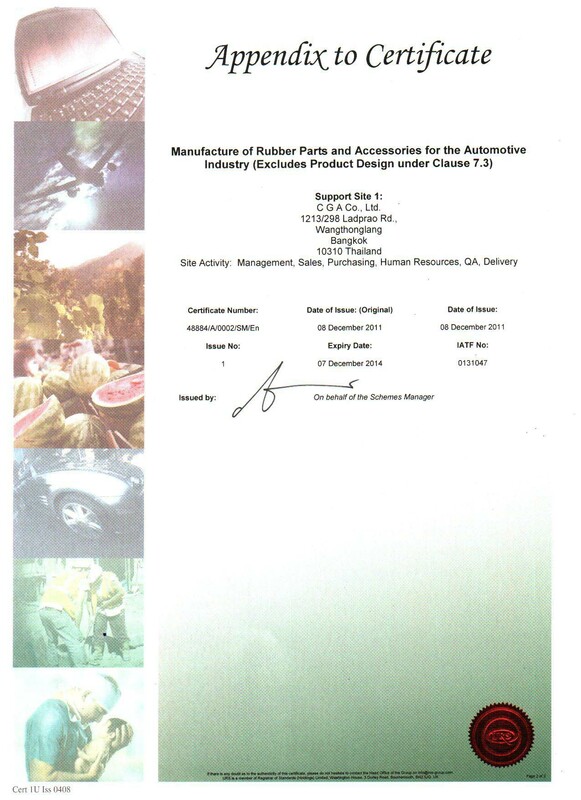 "Manufacture of rubber parts and accessories for automative." Air-Conditioner and Refrigerator, Plastic Bag, Insulation, sheet, tube, heat insulation, PE foam, PU foam, EPDM foam, open cell, closed cell, felt, wool Felt, Sound proof, house, HIP, Rubber, EPDM tube, Silicone tube, Extrude PVC, PE, PP, HDPE, Butyl, Cork tape, damper, putty, Film, paper, aluminium, copper tube, control value, capillary tube, welding rod. Washing Machine and Microwave, heat insulation, Felt, Filter, Cloth, Glove, Glass tray, Hanger, Spring, Rubber, Foot, Water supply hose unit, Water inlet, Hose, Plastic, injection, metal stamping, stainless case, damper felt, SUS center nut, motor, Electrical supply, wire hardness, Cable ties, Cable maker, connector, Terminal, Wire Duct, Wrapping Band, Walnut, PE Board Spacer, PCB Support, Accessories. HDD, Electronic Components, Semiconductor, ESD, IPA, Packaging, anti static, Clean Room, Class 100, PE, HDPE, Foam, EPE, EVA,TRAY, FLOOR, label, sticker, tape, Bag, Removed tape, Silica gel, Film, PP, laminated, Air babble, Gloves, wipers, Swabs, air clean deviser, high efficiency, air filter, Disposable, Sticky mat, nylon, knitting, fabrics, HEPA Unit, Work wear, and IPA. Automotive, Car, Motorcycle, PE Cover, Anti Rust, Sipper, Bag, Rubber hose, Sound proof, Damper, Butyl Rubber, Silicone, aluminium tape, heat insulation, microfiber, Stainless wire, stainless nut, Bolt, Screw, Fastener, Heat Shrinkable tube, Flame-Retardant. 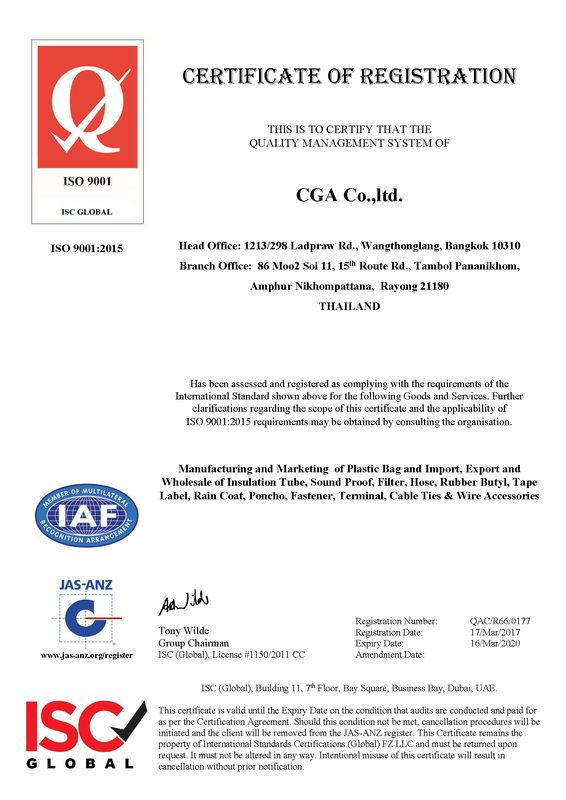 SUB MATERIALS: Adhesive, Solder wire, Flux, Cream, Tape, Gasket, Foam, inlay, Spring, Fastener, screw, spacer, rubbers foot, rubber panel, PE bags, Cover Sheets, label, Chemical, Grease, Solvent, PP band, Composite Strip, Buckle, Carton, craft paper, craft pallet, silicone, paper, PP board, stretch film, shrink film, label, sticker, etc. Our owned brands "FUJIZAKURA" to presented Rain-Coat and "MEGADAYA" to presented Fuel Conditioner. Our strategy is to be close to you in your local market with sales support and technical resources, We have highly competent staff in Asia Pacific, enabling us to serve you on a world class basis. 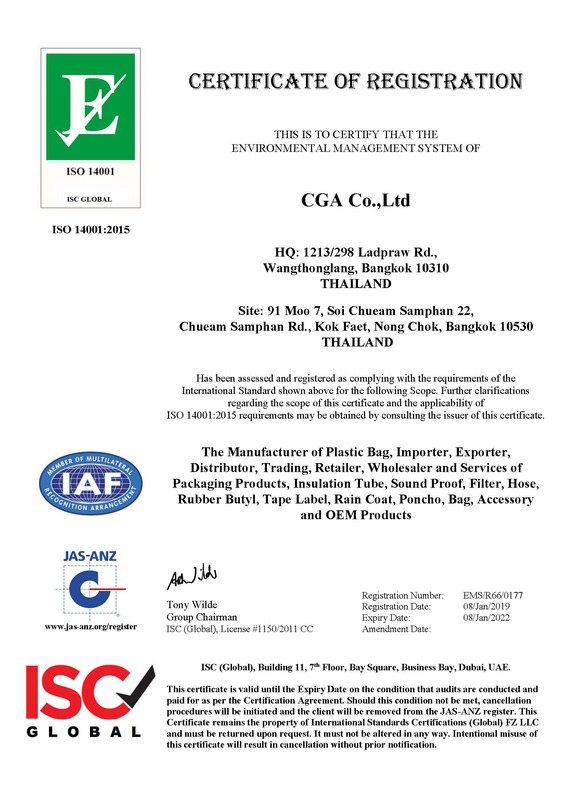 All our products has passed the SGS Test which is proven to be environmental friendly products.